Upon accepting his charge, each village's representative boy is given a single wicker basket. He then swears a public oath that he will not return until the basket is filled to the brim with only the ripest bangers, scrumped by hand from one of the ancient Kolbászfa (rare Hungarian Sausage Tree). This tree, renowned across Central Europe as the natural habitat of the now endangered Romanian Albino Sparrow, grows only in those areas of grassland which have been described in the past as "quaint" by British tourists. 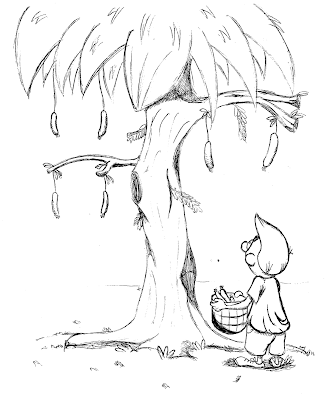 Due to the scarcity of the reverred sausage tree, it is not uncommon for boys to return home to their villages several weeks after the beginning of the harvest. Some never return at all. It has also been known for boys to lose their bearings out in the wilderness, and then, once completing their task, stride triumphantly into a familiar looking village only to discover that is not their own. As tradition dictates, these boys are then burned at the stake, finely chopped and served as nibbles during the closing feast (for confusion is the vice of the insidious Plague Fairy, and must be stamped out). On the final day of the Harvest, once all the boys have returned home, been pronounced dead, or ritually immolated, the sausage haul is counted and all the people of the village gather in the town square for a hearty barbecue and accompanying firework display. Finally, the mayor of each village will officially close the festivities by congratulating/paying his respects to the triumphant/tragically deceased/missing boy and the town can start looking forward to next year's harvest. Just so you know, none of that is true. 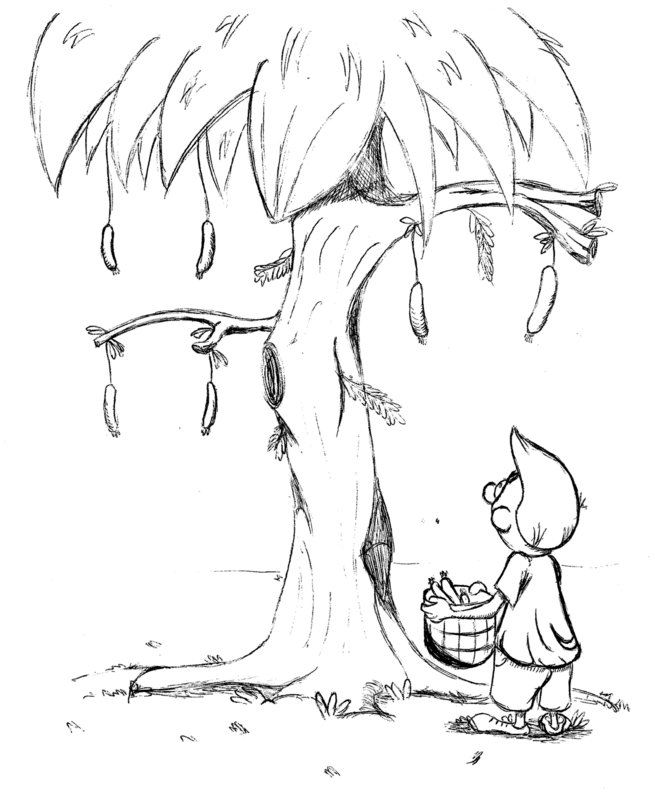 Funnily enough, there really is such a thing as a sausage tree: the Kigelia. It just has a slightly less bloody history than the Hungarian variety.